How do I view uploaded images in a layer? Hey. 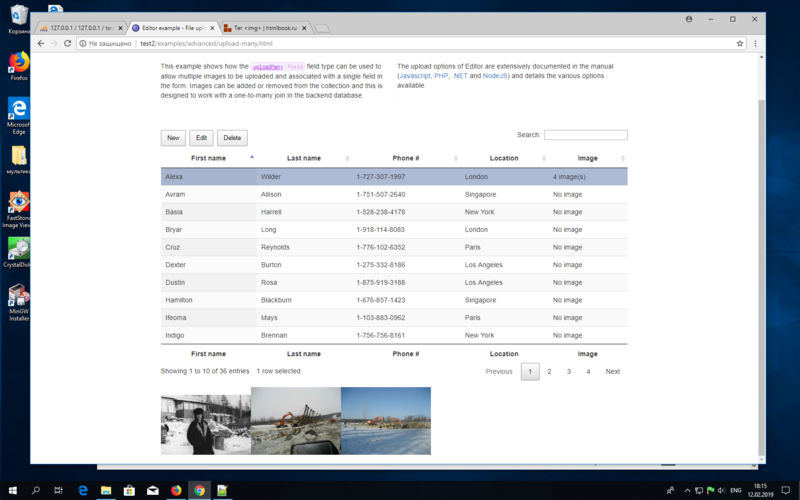 I use the File upload(Many) example and want to modify it so that when I click on a row below the table, the loaded images appear. I don't quite understand that point. Could you show me an image of what you are looking for please?